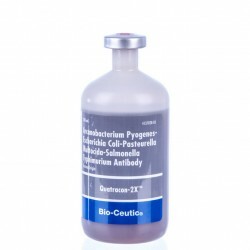 Pfizer - Calf Guard is for vaccination of healthy newborn calves or pregnantcows as an aid in preventing diarrhea (scours) caused by bovine rotavirus and bovine coronavirus. 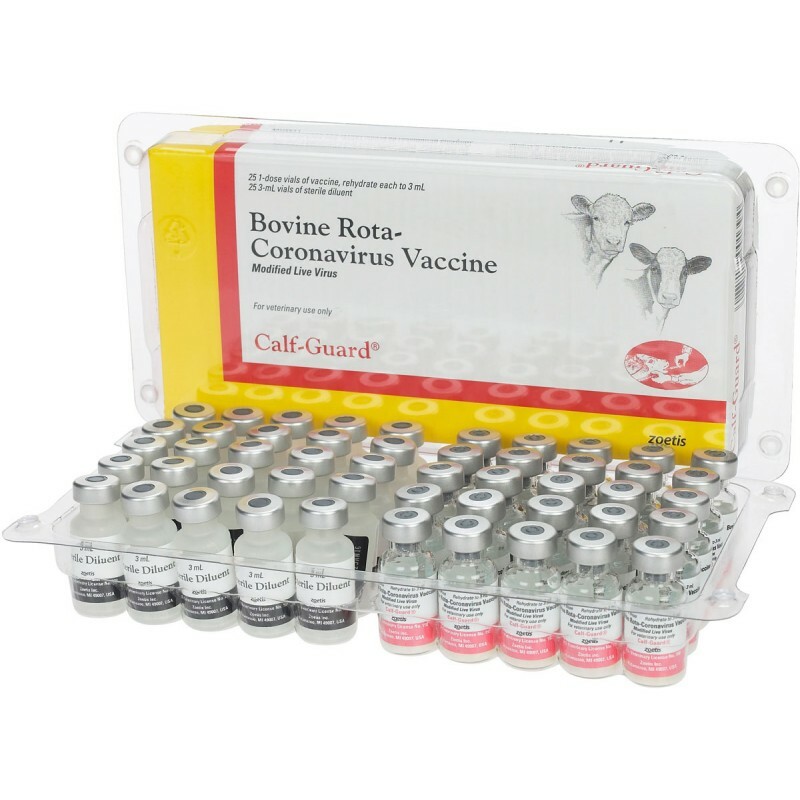 Contains attenuated strains of bovine rotavirus and bovine coronavirus propagated on established cell lines and freeze-dried to preserve stability. Contains penicillin and streptomycin as preservatives. 1. 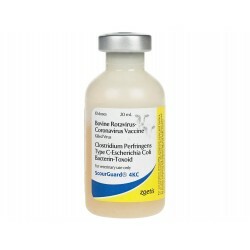 General Directions: Vaccination of healthy newborn calves or pregnant cows is recommended. Aseptically rehydrate the freeze-dried vaccine with the sterile diluent provided, shake well, and administer 3 mL without delay. 2. 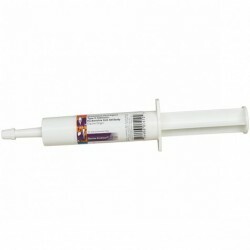 Calf Vaccination: Remove needle from syringe and administer a single 3 mL dose into the back of the calf's mouth. Vaccination should occur as soon as possible after birth because susceptible calves are at risk as soon as they are born. Vaccination of calves older than 1 day may not be effective. 3. Cow Vaccination: Healthy cows should receive 2 intramuscular doses administered 3-6 weeks apart during late pregnancy. 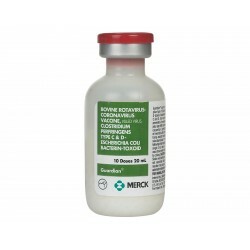 Ideally, the second dose should be administered within 30 days prior to calving. In accordance with Beef Quality Assurance guidelines, this product should be administered in the muscular region of the neck. 4. Cow Revaccination: Cows should be revaccinated with 2 doses during each subsequent pregnancy. 5. Good animal husbandry and herd health management practices should be employed.